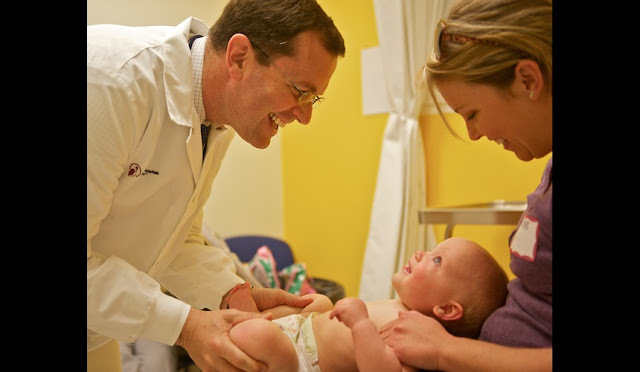 A typical day in the clinic: An orthopaedic surgeon examines a baby with a history of developmental dysplasia of the hip. Washington, D.C.—The Children’s Hospital Association (CHA) launched its 2017 Children’s Hospitals Photo Exhibit this week via an online gallery. The compelling collection of 48 photographs depicts the hope, compassion and resilience shared by child patients, their families and the children’s hospitals providing specialized care. 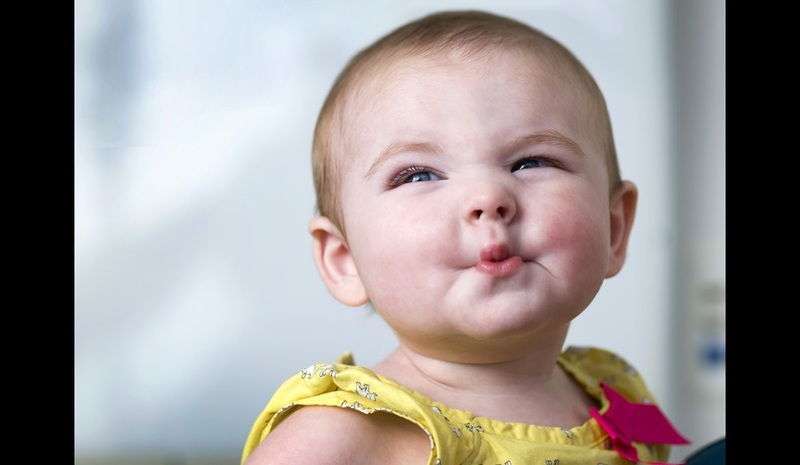 This year marks the first time the photo exhibit has been sponsored by a global corporation like Kimberly-Clark’s leading baby-care brand HUGGIES®. HUGGIES® is the photo exhibit’s exclusive presenting sponsor. 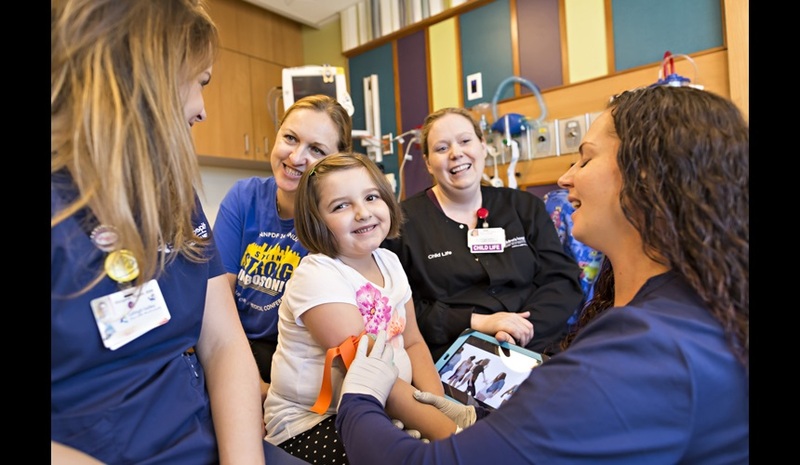 The photos in the exhibit were selected by a distinguished panel of judges from more than 180 photographs submitted by children’s hospitals across the country. The judges included Lori Epstein, photo director, National Geographic Kids; Lily Francesca Alt, photo director, Parents magazine; Rick Guidotti, founder and director, Positive Exposure; Marvin T. Jones, Marvin T. Jones and Associates; and Kelly Wolfe, public policy director, Children's Hospitals and Clinics of Minnesota–Minneapolis and member of the Children's Hospital Today Editorial Review Committee. While in utero, Preston was diagnosed with an intestinal obstruction - duodenal atresia which occurs in one in every 10,000 live births. 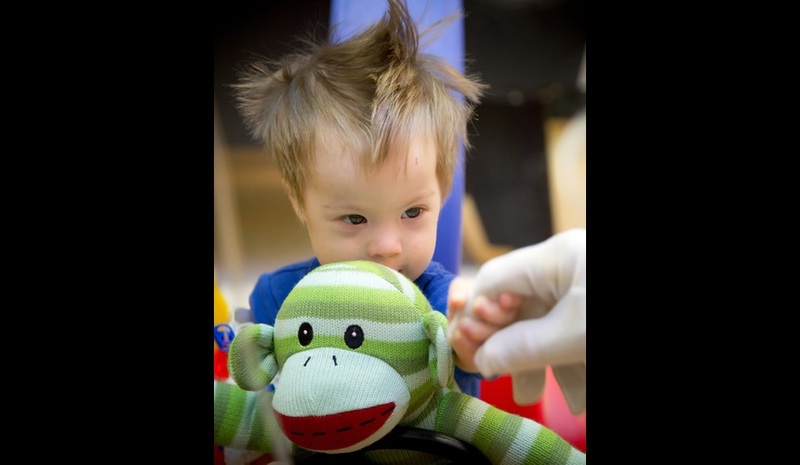 Shortly after birth, Preston was further diagnosed with a chromosomal abnormality Trisomy 21, more commonly known as Down syndrome. Doctors then discovered he had Hirschsprung disease - a condition which affects the large intestine and causes problems with emptying the bowels due to missing nerve cells in the colon. 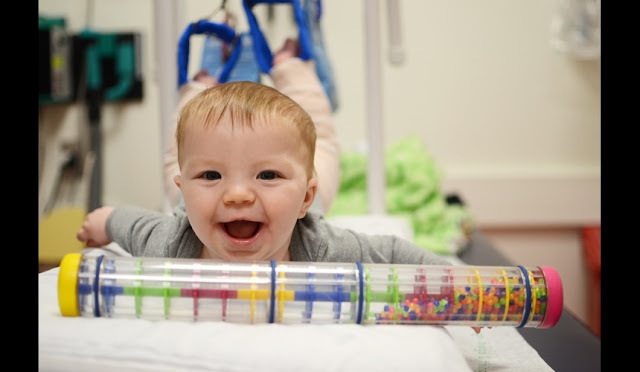 At 10-months-old, Preston had a procedure to remove and reconnect portions of the large intestine so that he could function normally. Preston has healed and is now healthy and active. He loves looking at himself in the mirror, wearing fire helmets, dancing and kisses. His favorite word is “no” and his favorite food is a grilled cheese sandwich. 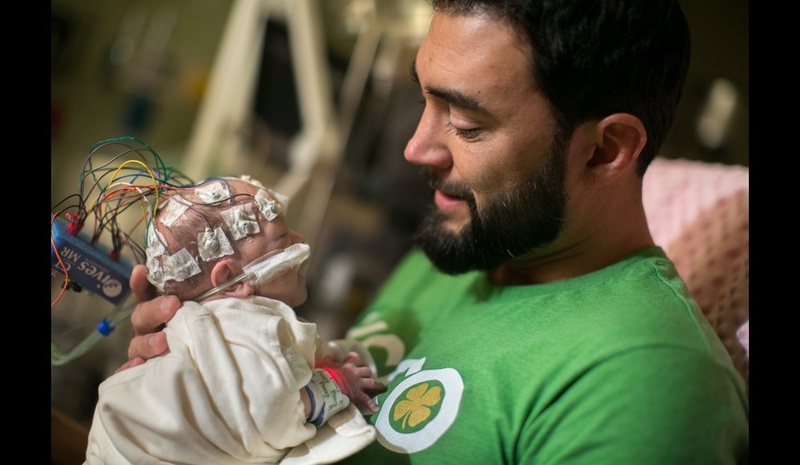 While sleeping in the Neonatal Intensive Care Unit, Hailey grasps her mom's finger. 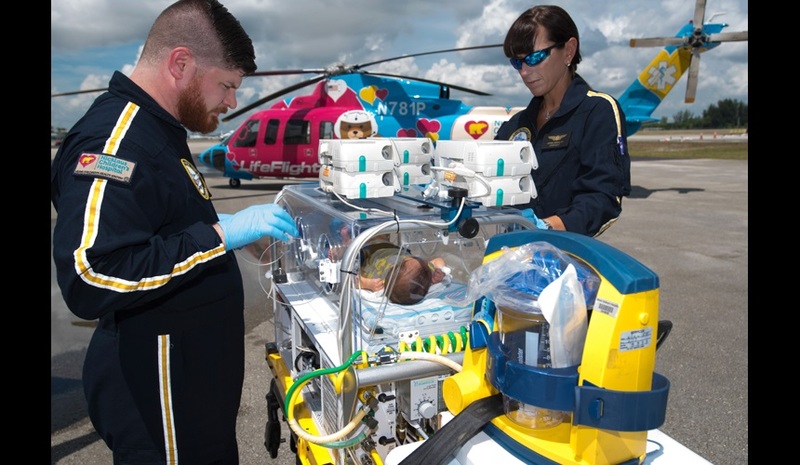 The LifeFlight Critical Care Transport Team prepares Andrew for transport. 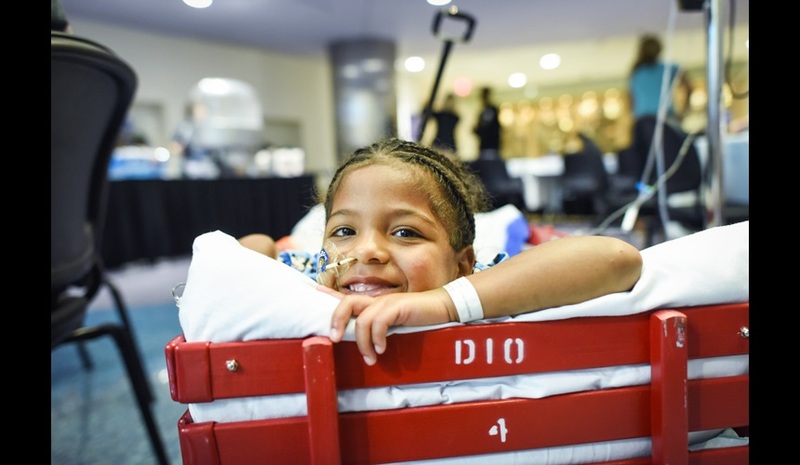 De’Antwione enjoys time out of his hospital room at an event for patients and families. 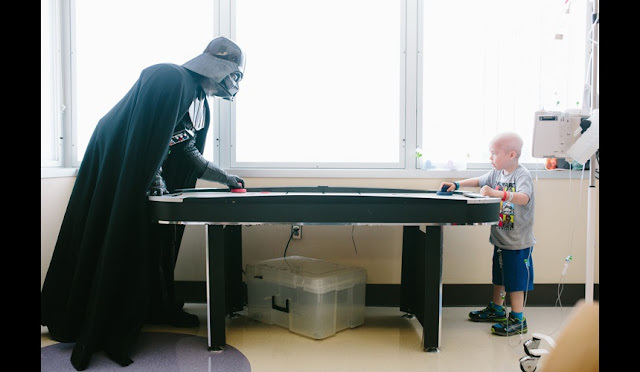 Darth Vader, a local 501st fan group member, donates his time to bring cheer to patients and families. 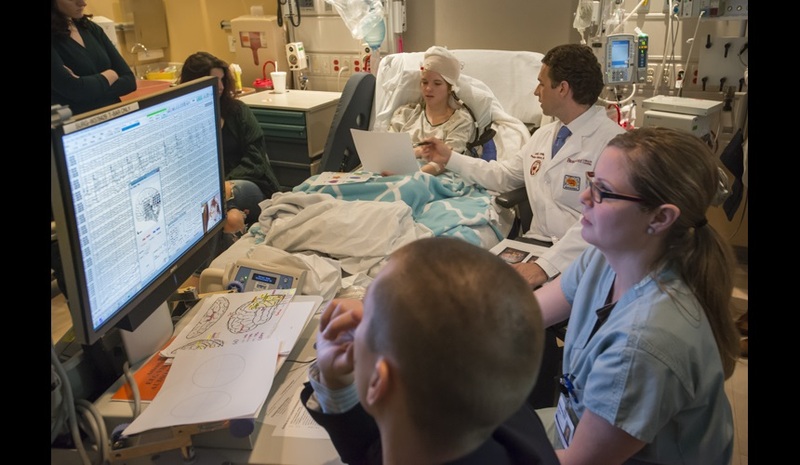 Alexandra undergoes a brain mapping procedure prior to a surgery that will help reduce the number of seizures she experiences. 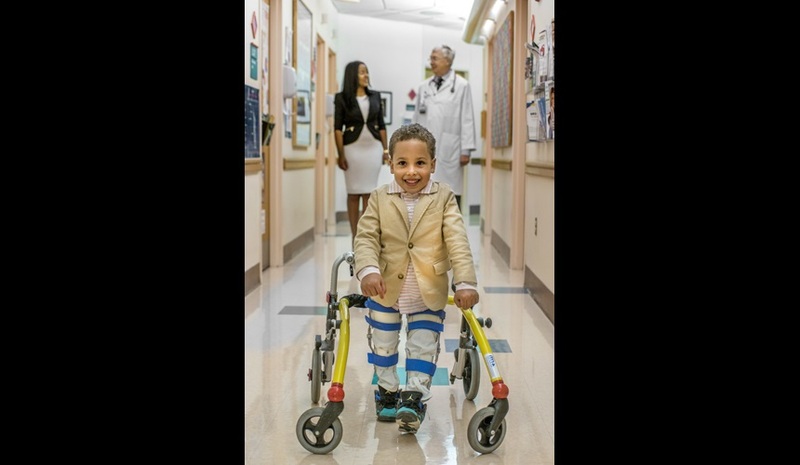 Working with a Lokomat therapy machine, Desmond, who had surgery for a spinal-cord tumor, was able to teach his body to walk again. 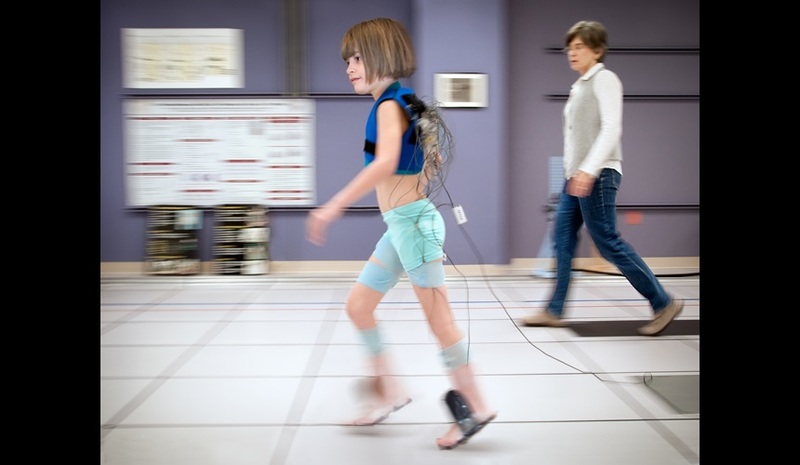 The Lokomat uses a video screen that responds to his movements and makes physical therapy feel like play. 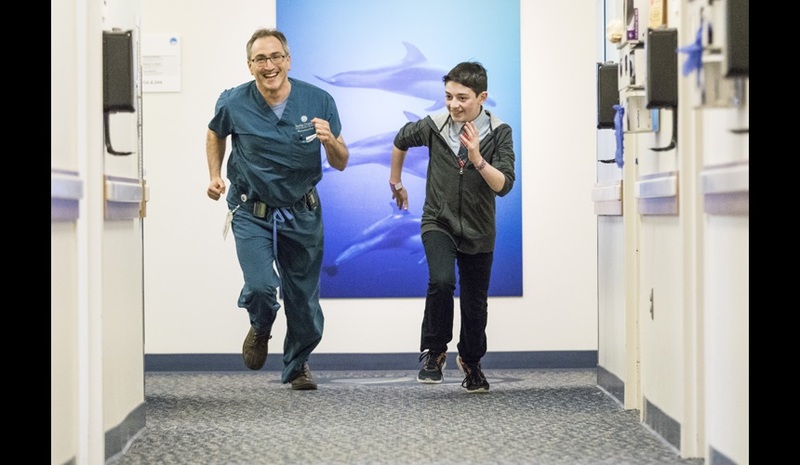 A mix of clinical expertise, compassionate care and exuberance helps kids like Sam realize that their lives are bigger than their illnesses. CEO Jeff Sperring, M.D., lives the mission of helping every child achieve their full health potential. Catalina undergoes movement testing in the Motion Analysis Laboratory, which helps doctors treat her by better understanding her motion and muscle activity. A nurse provides a leg tunnel for Emma to drive her big wheel through. 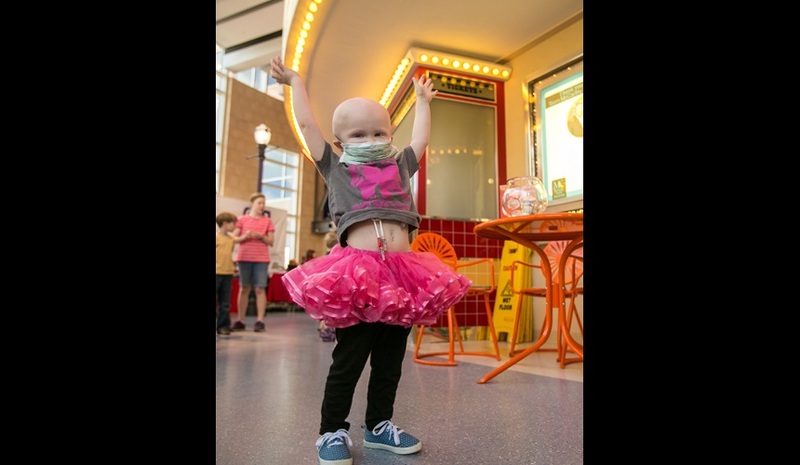 Emma is recovering from a surgery days earlier that removed 100 percent of the neuroblastoma tumor in her abdomen. 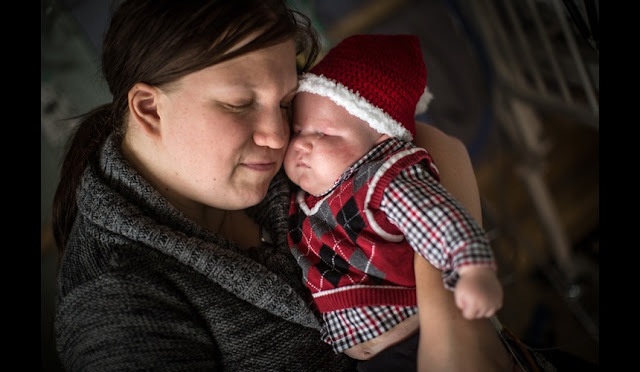 Born without eyes, Marshall is cradled by his mother during an in-room holiday card photo shoot offered to inpatient families each holiday season. Ounce by ounce, McKinnley grew. At two months of age, she is held by her father just before she undergoes the nine-hour open heart surgery to restore her aorta and pulmonary artery connections back to normal. The wires on McKinnley’s head are in place to monitor for seizures, which is standard practice for babies undergoing heart surgery. 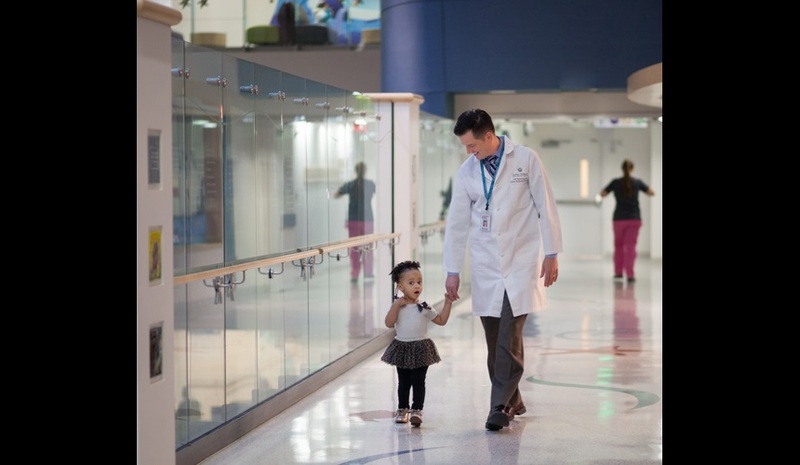 Children’s hospitals’ quest to improve the health of children throughout the nation doesn’t stop at the hospital door. Through community outreach and partnerships, children’s hospitals help find remedies for the root causes of the illnesses and injuries they see every day. 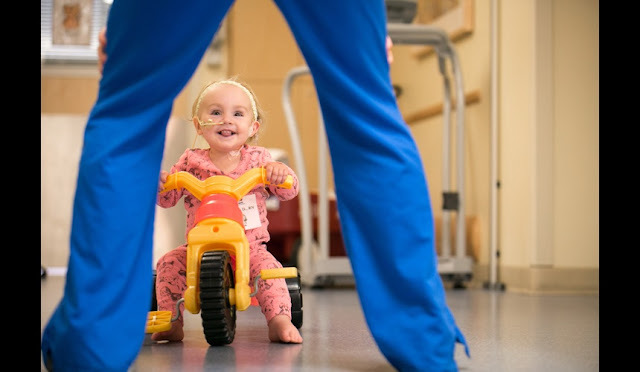 Born eight-weeks early, McKinnley was diagnosed with transposition of the great arteries, an incredibly complex heart defect . Only two hours old, McKinnley underwent her first procedure to stabilize her heart. 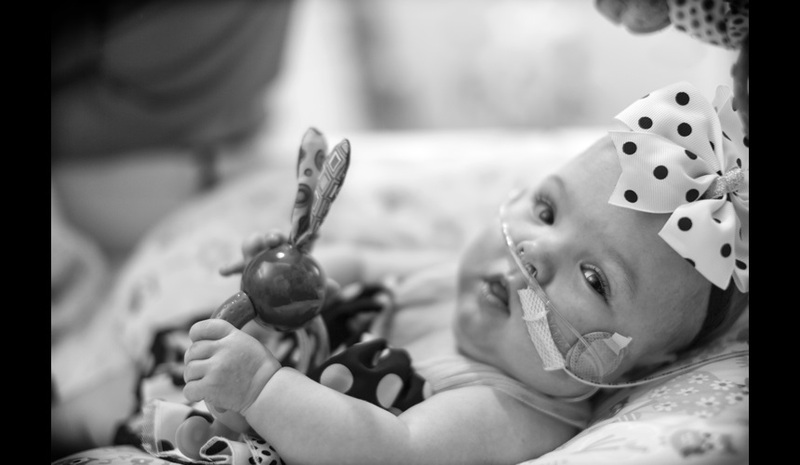 Assisted by feeding and breathing tubes, McKinnley bonds with her mother. 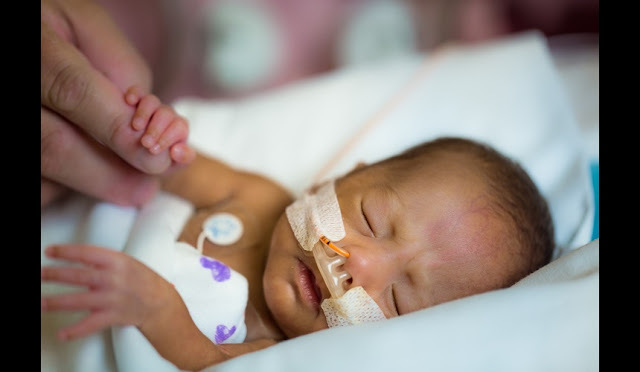 To survive, she needed another surgery, but weighing under 3 pounds, she would first have to grow stronger and put on weight. Even when faced with her own mortality, Bella’s undeniable spirit shone through. 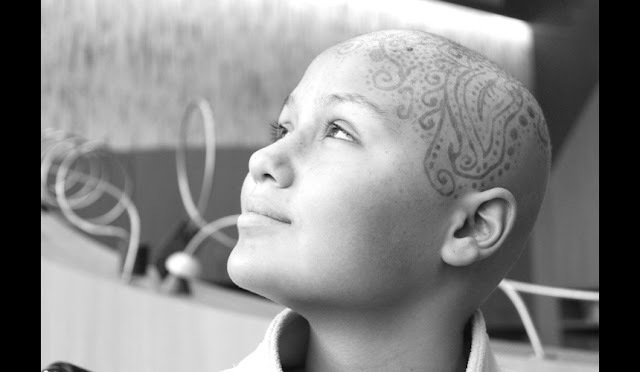 After receiving chemotherapy to fight her Ewings Sarcoma, Bella transformed her head into a work of art. She faced the end of her life with fortitude and will be remembered for her unique soul and incredible courage. 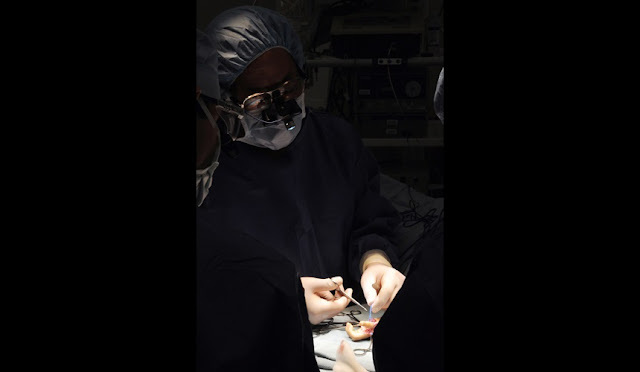 Scott Oishi, M.D., preforms a pollicization procedure which involves moving an index finger into the thumb position and rotating it into opposition to the other fingers. For a child born without a thumb, the pollicized index finger will function as quickly and accurately as a thumb on the hand of a child born with all five digits. 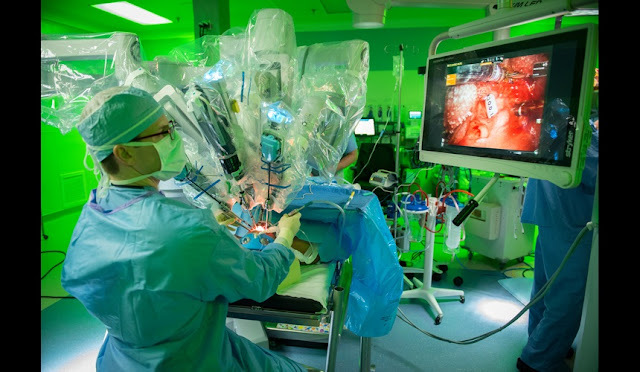 This complex surgery requires a high level of skill. 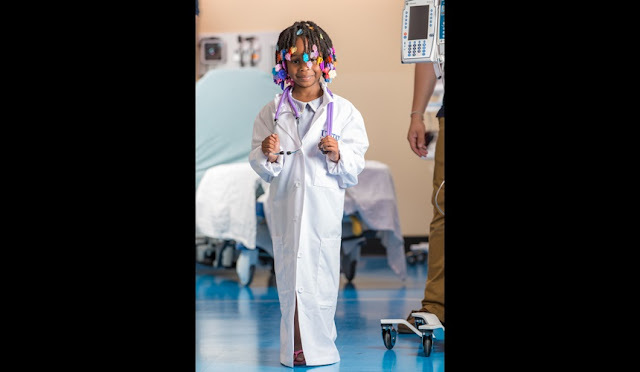 Surgeons at children’s hospitals continue to take on these difficult procedures – not only to improve the life of a child, but also to teach and train future surgeons. Emmit is treated for a dislocated hip. 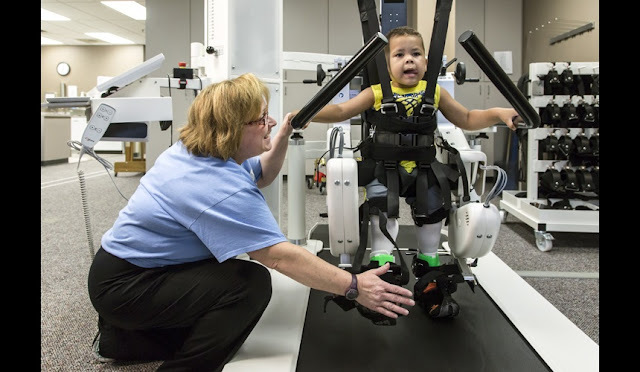 With his legs suspended, the traction is designed to loosen the muscles and tendons around the hip preceding surgery. Kenny, who was born with spina bifida and hydrocephalus, takes his first steps with his new "walking machine." 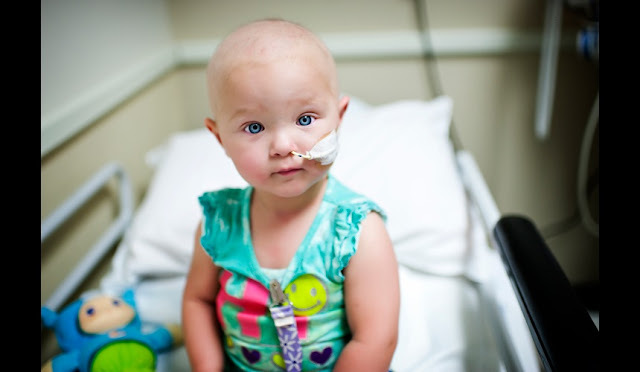 Eleanore visits the cancer clinic to receive treatment for leukemia. 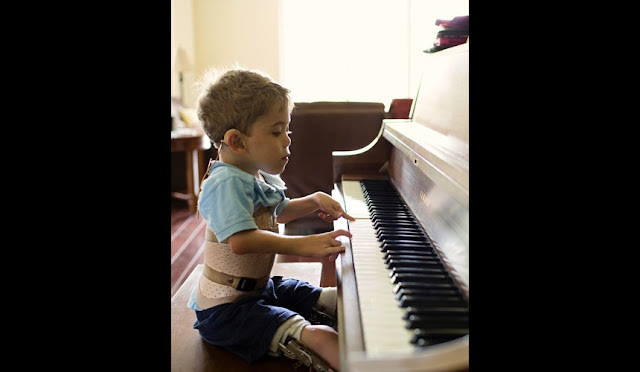 Josh was born with atelosteogenesis type 3 (AO3), a very rare disorder which means his bones do not develop properly. Josh’s spinal cord was at risk and doctors worried it might sever. 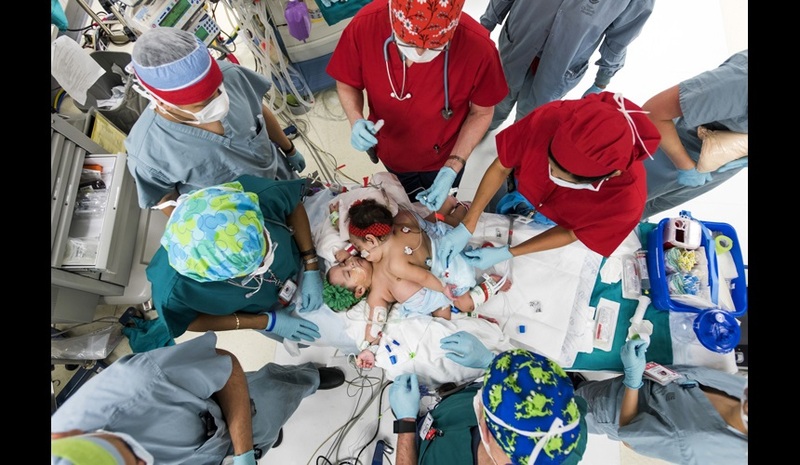 At 20-months-old, he underwent a life-saving 12-hour surgery. To help with hindered motor skills, Alejando practices kicking a soccer ball with his physical therapist in the Center for Advanced Technology and Robotic Rehabilitation. 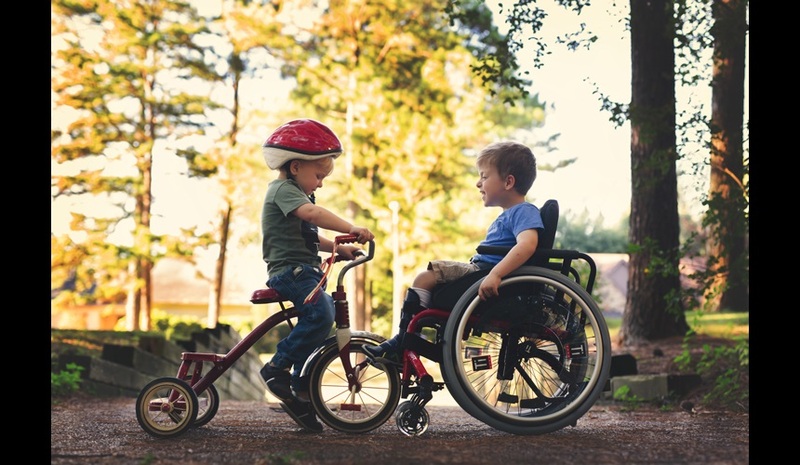 Born with congenital limb deficiencies, Julian required below-knee amputations on both legs. 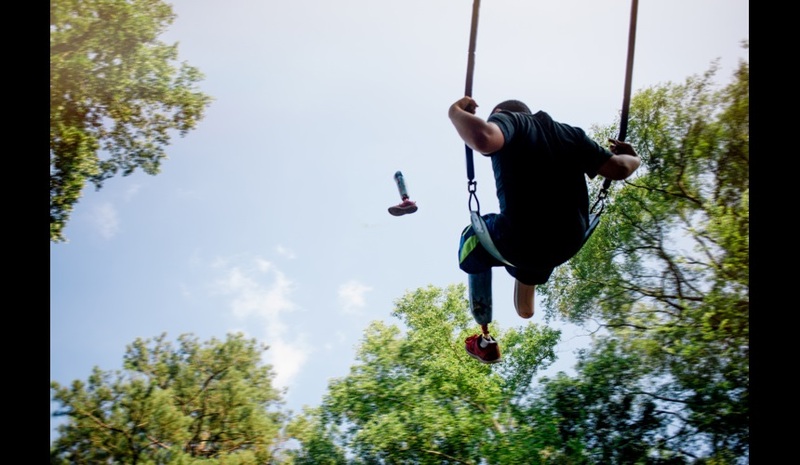 He now wears prosthetic legs for increased mobility, but when he swings – he lets those legs fly! 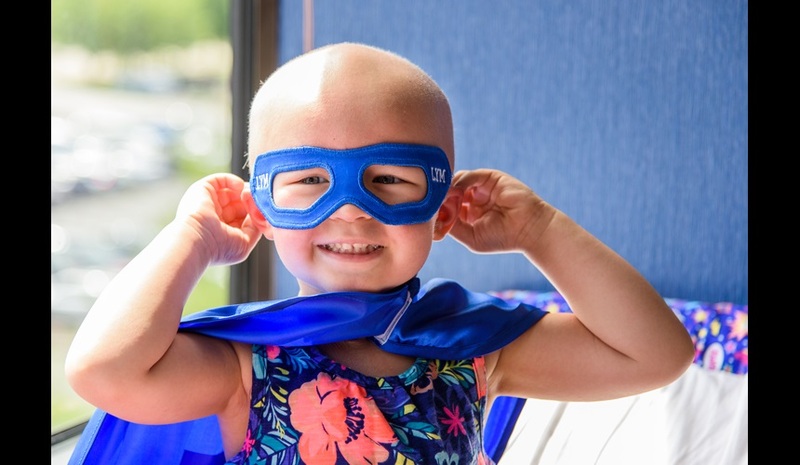 Reese was treated for leukemia and received a mask and cape from the Love Your Melon program. 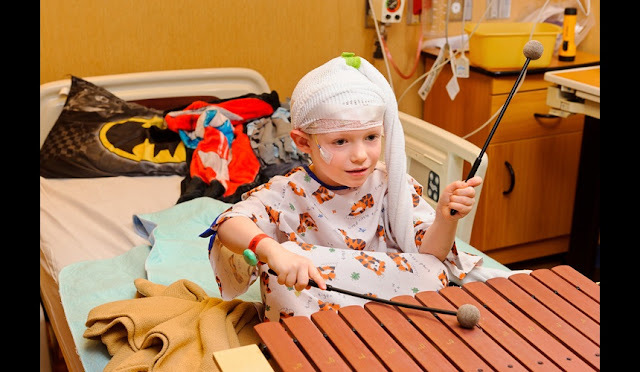 Logan plays the xylophone during a music therapy session in the epilepsy monitoring unit. 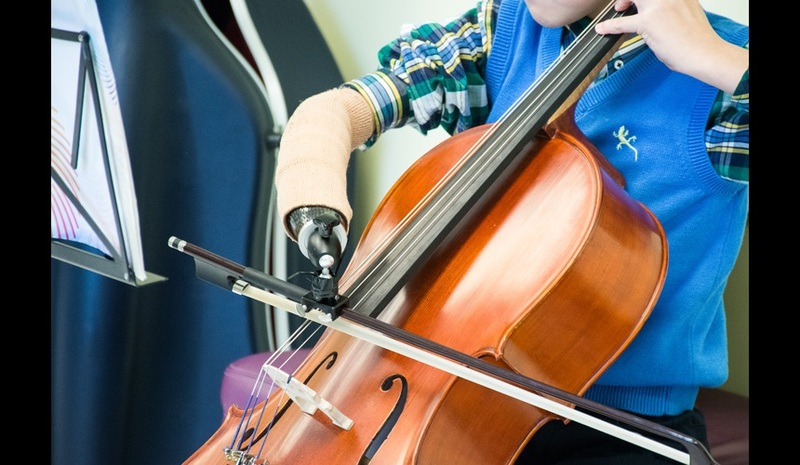 Thanks to help from a team of pediatric prosthetists, Christopher is getting used to his custom hand and working toward joining his school’s orchestra. 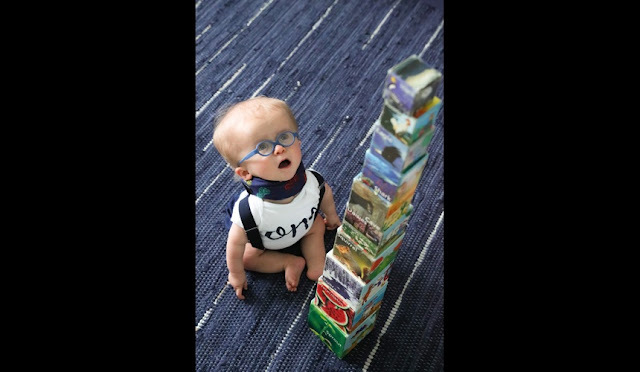 Wyatt was born at 37 weeks and diagnosed with spondyloepiphyseal dysplasia, a rare form of dwarfism. 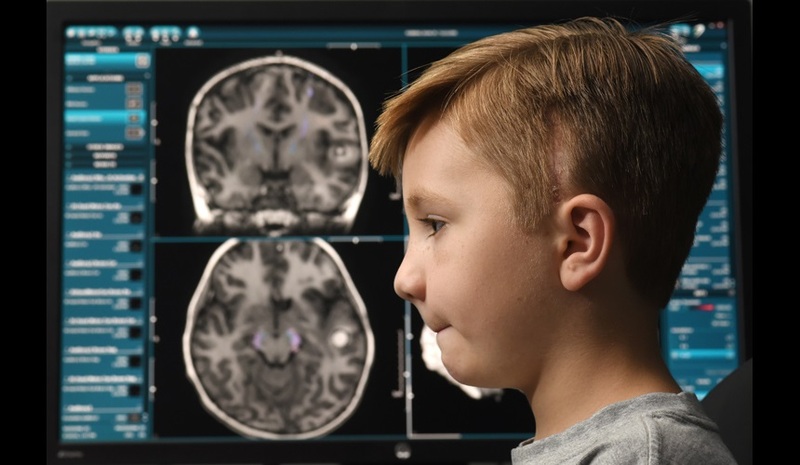 He was later diagnosed with spinal cord stenosis, a condition commonly found in dwarfism where a child’s head is disproportionate to their smaller frame. Cervical collars were used to reduce pressure and avoid surgery. Today, thanks to a fashionable set of 30 collars, Wyatt’s spinal stenosis is almost completely resolved – and there is no surgery in his future. 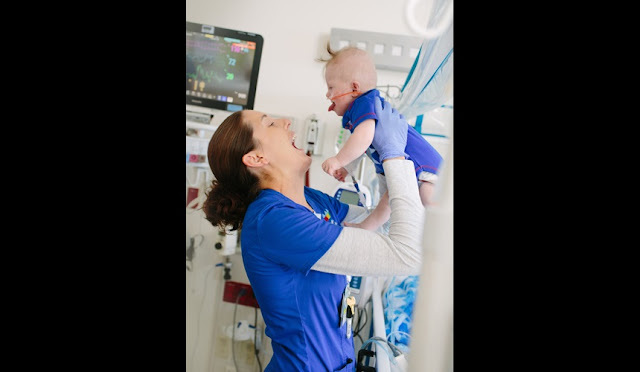 Children’s hospitals train the nation’s pediatricians and specialists who care for all children. 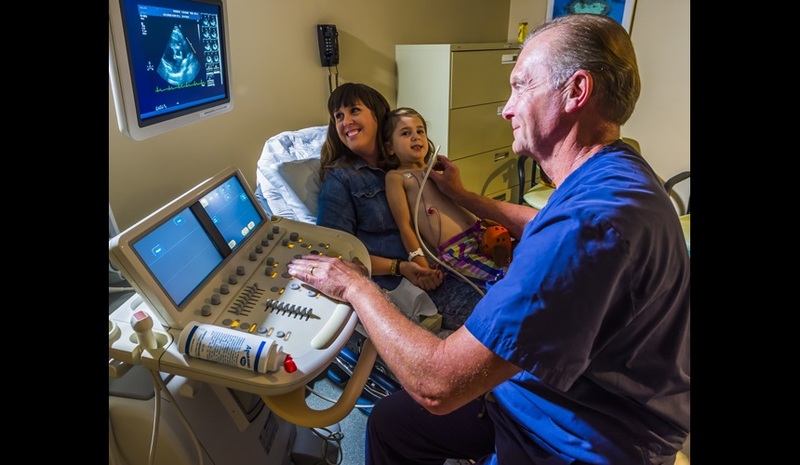 They also advance groundbreaking research and treatments of birth defects and congenital heart anomalies, transforming children’s lives for the better. 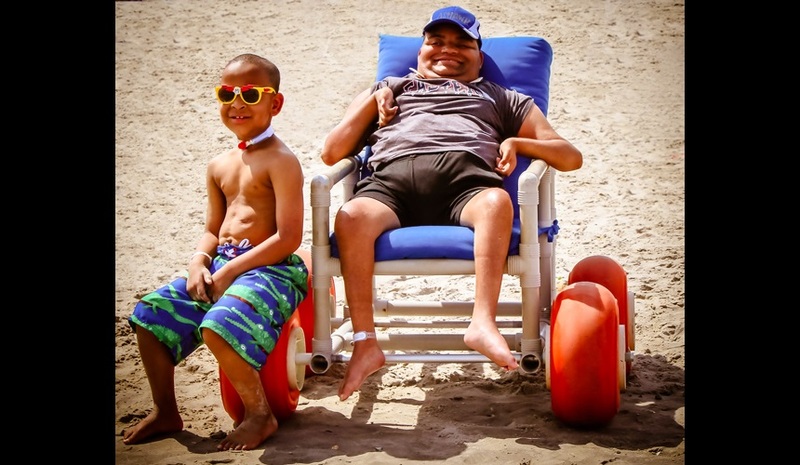 Patients Ashawn and Messiah enjoy the Jersey Shore at Wave Camp, a free summer camp sponsored by Voorhees Pediatric Facility for children living with complex medical needs. 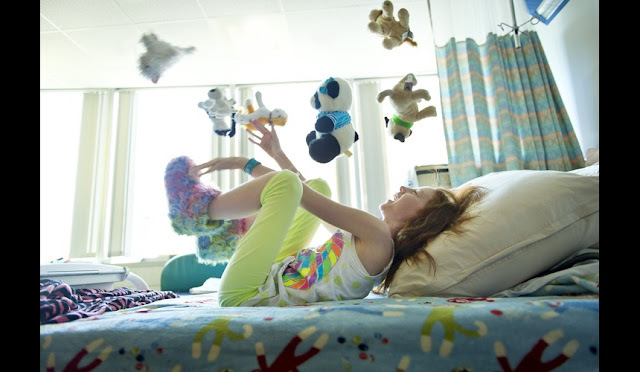 Tossing in bed takes on new meaning for Hannah who’s successfully managing a rare combination of hyperthyroidism and hypoparathyroidism – an imbalance that can lead to weight loss, weakness, irregular heartbeat and difficulty sleeping. 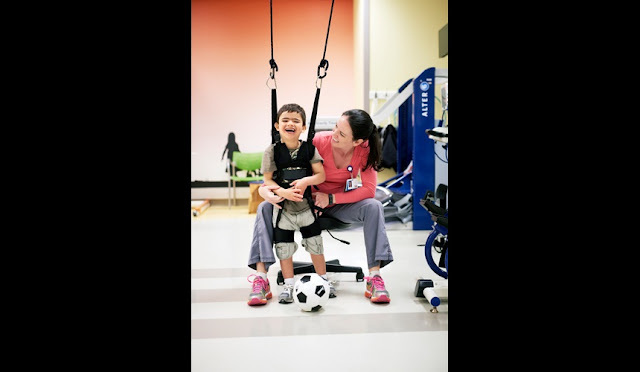 Former patients Sarah and Christopher play tug-of-war as a form of physical therapy for amplified musculoskeletal pain syndrome while others cheer them on. Michael and Trevor show their sister what it's like to have cystic fibrosis by using toy needles to inject their dolls with medicine. 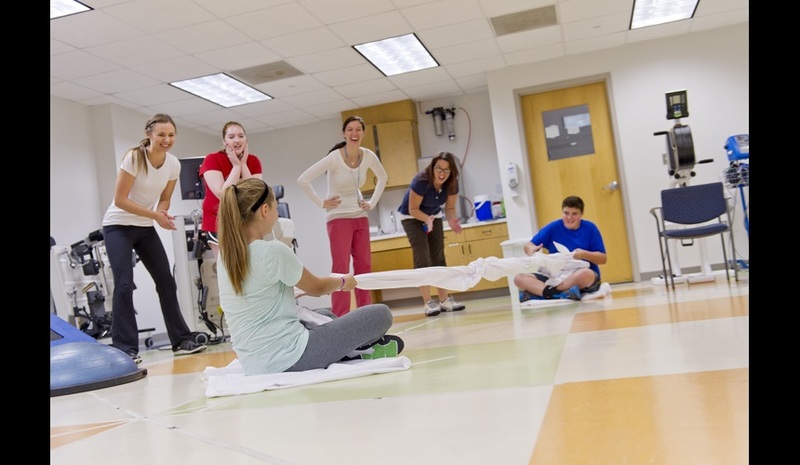 Medical role play is a positive and empowering tool used in many children’s hospitals. Tressie plays with the doctor during a visit to the clinic. A team of 12 surgeons, six anesthesiologists and eight surgical nurses worked together in an unprecedented collaboration to separate conjoined twins Knatalye Hope and Adeline Faith. A year after being separated, the twins are lively and healthy toddlers. Intraoral procedure utilizes latest robotics for surgery. 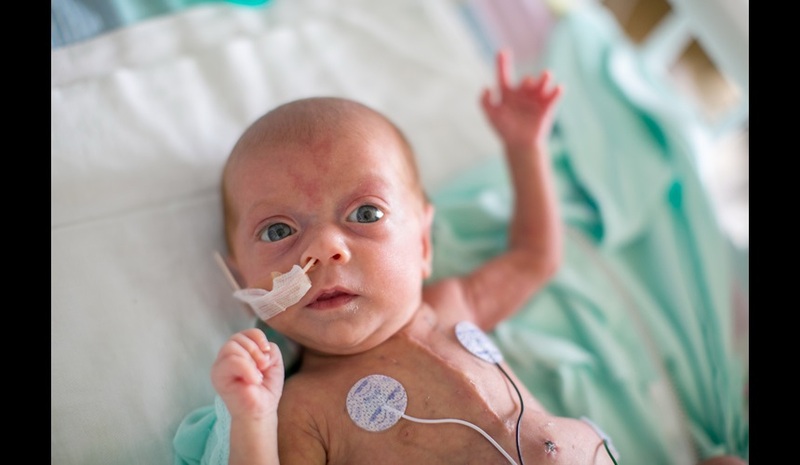 Abbigail is treated in the Neonatal Intensive Care Unit. 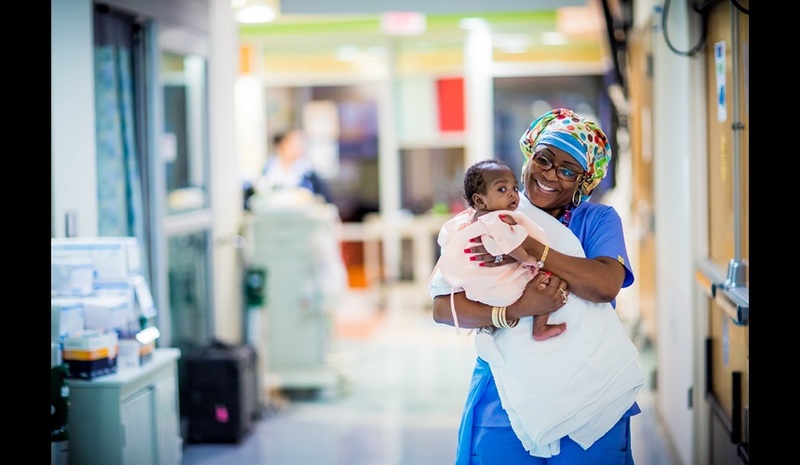 A nurse comforts Zekale as he awaits surgery to correct his cleft palate. When a cavernous malformation was found in Evan’s brain, his neurosurgeons safely removed it, aided by a neuroimaging test that mapped the surgical route. 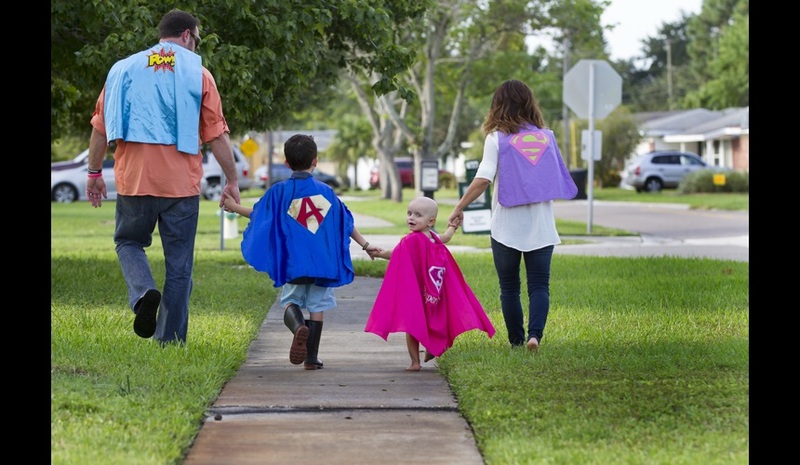 Devoted to making sick children healthy, children’s hospitals strive to always be there when families need them. The specialized knowledge, highly trained staff and unique medical equipment found in children’s hospitals are indispensable to all children needing health care. 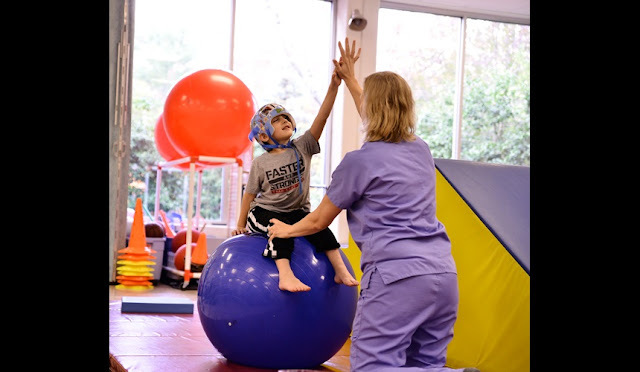 With the endless support from his innovative doctors and therapists, Eli has been reaching high and achieving new goals in rehabilitation. A nurse prepares IV insertion for Vivi, who has Niemann-Pick Disease Type C. Vivi receives bi-weekly lumbar punctures with drug therapy for her condition. Seated with her mother, Ella who was born with a congenital heart defect regularly receives an echocardiogram having battled multiple complications. 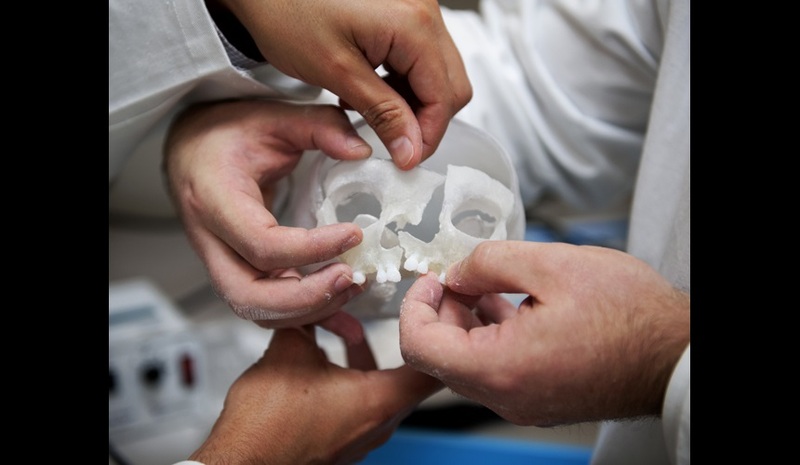 Plastic surgery residents piece together a 3-D model of a patient’s skull while preparing for a complex craniofacial surgery. 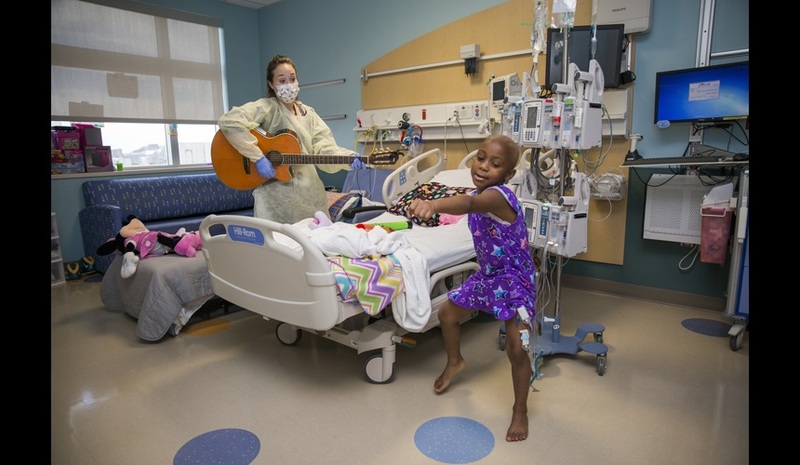 Music makes Evondria want to dance even though she is tethered to multiple IV medications. Music therapy can decrease anxiety, alleviate pain and help with physical rehabilitation. Fighting neuroblastoma, a type of cancer that starts in very early forms of nerve cells in an embryo or fetus, Sofia‘s family found strength in superhero capes. Carter’s spina bifida treatment helped him return to what matters most.